Everyone is talking today about how Facebook bought Instagram and now has a light version of the Instagram app with some filters connected to Facebook. The Facebook folks mentioned back when they were first making the purchase that they were about to release a Free Facebook camera app that had nothing to do with Instagram. 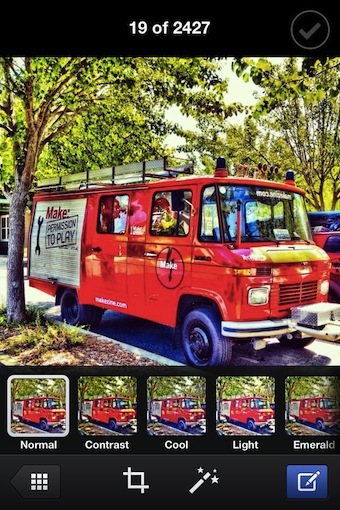 I have a tendency to believe them that this new app had no Instagram employee assistance. But, everyone mixes the two to get readers. 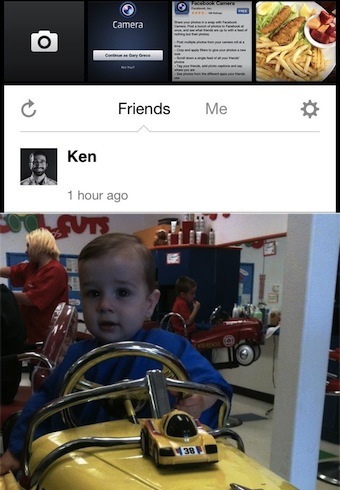 So, what is this Facebook Camera app? It is to the Facebook app as the Facebook Messenger app is to the full Facebook app. 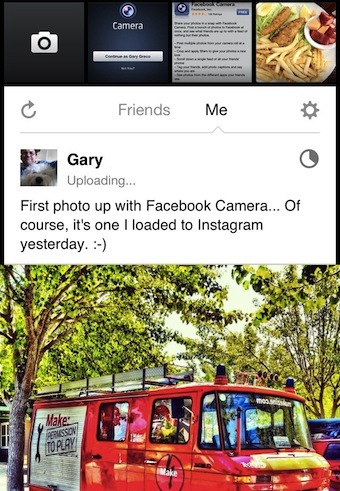 The Facebook Camera app is for viewing your friends photos, like you can do with the full app. The difference is though that you can do a little tuning of your photos before sharing. When you launch Facebook Camera, your taken to a scrollable list of photos your friends have posted to Facebook. You can view, comment and like the photos as your scroll through them. From the main screen of the Facebook Camera app, you can use the camera icon in the upper left corner to take a photo, or choose the row of images to be taken to your iPhone’s photo library. 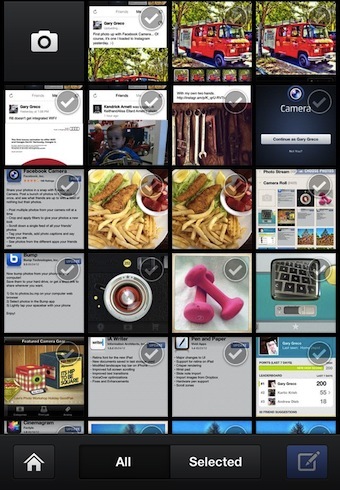 If you pull down the thumbnails, you will see a list of the different libraries you have on your iPhone to choose from. Select one or many photos to upload to Facebook. Your chosen photos appears in a new enhancement area of Facebook Camera. Buttons across the bottom will; take you back to the overview of photos on your iPhone, Crop, the magic wand brings up filter effects to apply, and the blue button will let you add text then post to Facebook. When you post your photo, it appears with the text you added in the ‘Me’ area.